We all know a mother will do anything for her children – even enduring extended periods of separation to work in another country to provide for their needs. 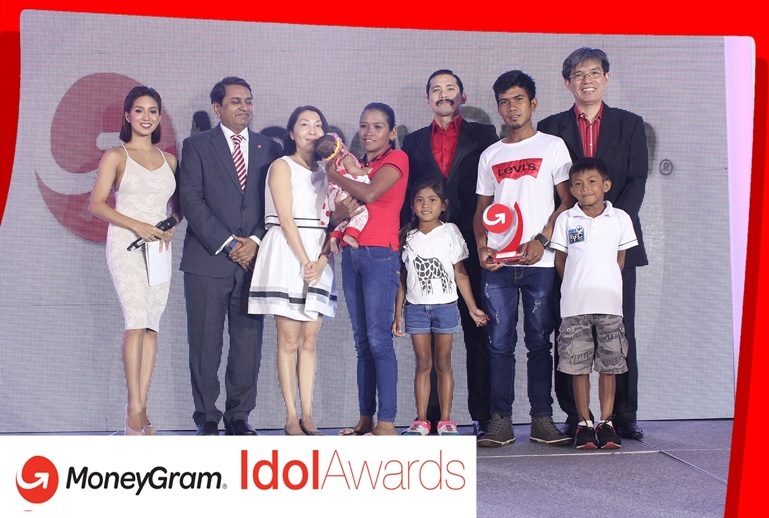 One of MoneyGram Idol Awardees is Johmary Martinez, whose mother embodies the sacrifices of every OFW who has left their children behind in their motherland in order to prepare a better future for them. In the Philippines, there are many families whose parents live apart from their children. These parents go abroad to seek their fortune so they can send enough money home to meet their family’s daily needs and put children through school. In the case of Johmary Martinez’ family, it is her mother, Mary Jane, who found work as a housekeeper in Malaysia. Although Mary Jane would say that her employers were kind and she could come home at least once a year, she missed her family fiercely. Mary Jane would send her remittances without fail, always calling and reminding Johmary to take care of her siblings. Through her support, Johmary was able to finish her schooling and graduate with a degree in Hotel and Restaurant Management. In a home shared by her father and her siblings, Johmary devotedly raises their two children, Shazrick John and Sharine Janeah, and takes care of her younger brothers and sisters, as her mother requests. With such a large household, resources can be a little stretched. Her youngest sister is only nine and goes to school in the village. Her husband is employed as a construction worker in Manila, while her father works in the fields around their home town in Cagayan Valley. For years, Mary Jane’s remittances were sent through the regular ways, and until the family discovered MoneyGram, they have never been completely satisfied. “Moneygram has helped our family a lot because it is fast and has no extra charges,” says Johmary. That’s important – when every peso counts, you want to cut out as many unnecessary expenses as possible. Consistency, love, and loyalty, all in one place.